How do we sustainably make use of the water resources in the Zambezi Valley? Resources which are of vital social and economic importance for the people in the Central Region of Mozambique. That was the big question facing about 70 very diverse stakeholders, representing industry and mining; from government; from agriculture, fishing and tourism; education and research; gender groups and local communities; water suppliers and regulators; and development partners. 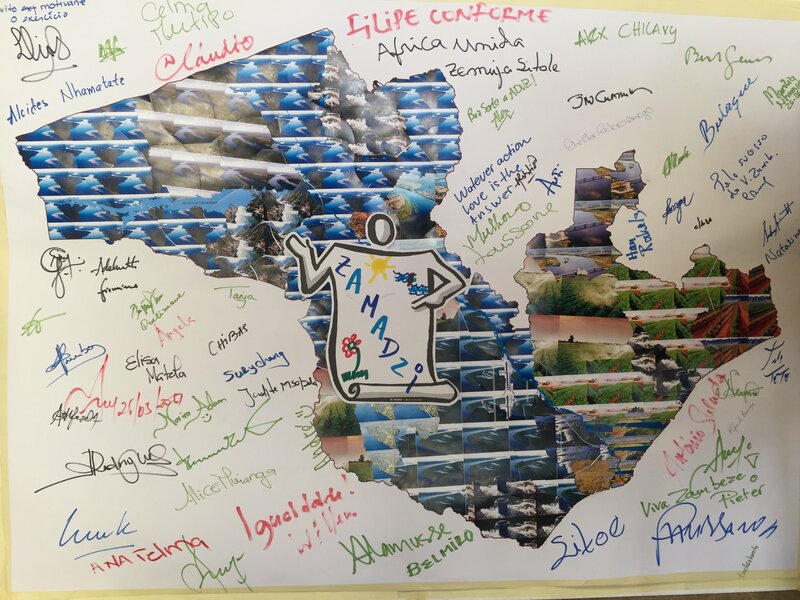 This group gathered for a 3 days Future Search Conference in Tete in May, 2017, a trade town at the Zambezi river, to have a deep dialogue with the purpose of developing a common vision for water in the Zambezi Valley, with fair and sustainable solutions. The participants’ interests vary immensely, and the lack of a shared vision and mutually reinforcing efforts leads to big problems for safe drinking water, food security, sanitation and the environment, and livelihoods. Floods and droughts had made the situation even more critical. A paradigm shift from segregated thinking to collaborative efforts is vital. During the Future Search Conference participants first reviewed recent history. They created timelines of key events in the world, their own lives and in the history of Zambezi Valley. In mixed groups, they drew lessons from the past. Then, the entire group focused on the present. They created a mindmap, which pictured current trends that influence water resources management in the valley. In stakeholder groups, they self-reflected on their prouds and sorries: How they are successfully responding to trends or are failing to do so. 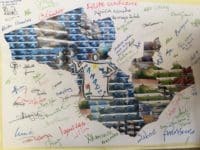 Thereafter scenarios for the ideal future were shown in compelling, creative presentations about the Zambezi Valley in 2025. Then, and only then, the common ground among all participants was agreed upon through dialogue. Clear ambitions were agreed on irrigation and agriculture, water (quality) monitoring and modelling, water governance, ecological awareness and nature conservation, water and sanitation, and education and action research. The final sessions were dedicated to drafting action plans, testing their resilience, and clarifying commitments. The Dutch sponsor of the event – Nuffic – funds a four-year program to build the capacity to make it all happen. The key implementing partners in The Netherlands are the Technical University of Delft, Wageningen University, Royal Tropical Institute. 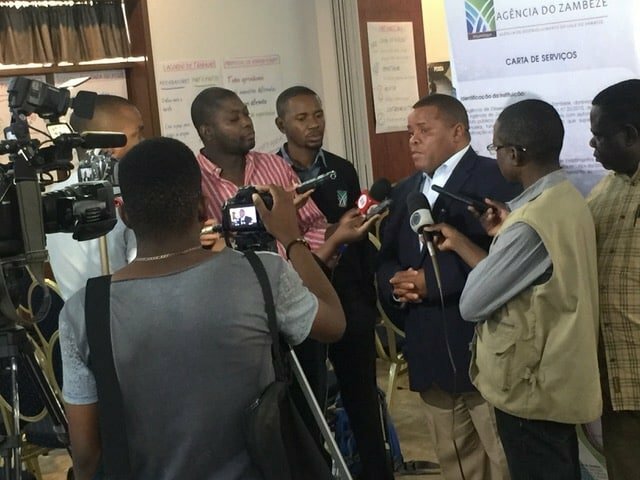 In Mozambique, it is the Agencia do Valle de Zambeze that manages the initiative. Towards the end a 70 piece puzzle of the map of the region was solved, with everybody symbolically holding 1 piece of the whole. Having solved the puzzle, and with the contour of a master plan for the valley in place, the group chose a name for their initiative: Zamadzi. Madzi meaning ‘water’ in various local languages. In a closing circle, participants reflected on what these days had brought them, in the process of making the dream for integrated water management in the Zambezi Valley a reality. Reflections which expressed hope and inspiration for their future. Together, they had accomplished something that none of them could have done alone.